The Trump administration's budget proposal would end funding for the International Space Station — right when it was scheduled to. The Trump administration might privatize the International Space Station — but the deal isn't as spontaneous as headlines might make it seem. NASA would face the end of ISS services in 2025 if the Trump team's budget is approved. But that fate has been a possibility since 2015, when Congress approved funding for station operations through 2024. 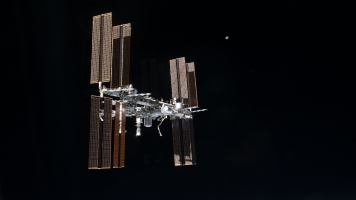 By 2016, NASA was already mulling plans to eventually sell the ISS to commercial buyers. It remains to be seen who else might step in, but they'd be buying some of the most expensive real estate in the solar system. Keeping the station staffed and in orbit costs NASA as much as $4 billion a year. For what it's worth, the station's parts are safety-rated for a maximum 30 years of service, with an end of life coming up in 2028. NASA has confirmed that keeping the station running that long will be "technically feasible" — as long as someone has the funds for it.